Not only do they sound delicious, but I think they look rather yummy on my nails too and I can't wait to add the shades 'Blueberry Ice cream' and 'Lemon Ice Cream' to my collection then I really will have an ice cream parlour! Barry M Nail Paints are definitely my favourite nail polish brand because of the amazing range of shades on offer and the fact they are an incredibly affordable £2.99 a pop, although I do find you need a good two coats to get an opaque coverage, whereas with some other more expensive brands like Models Own and OPI you could probably get away with the one. Are you loving pastel shades at the moment? 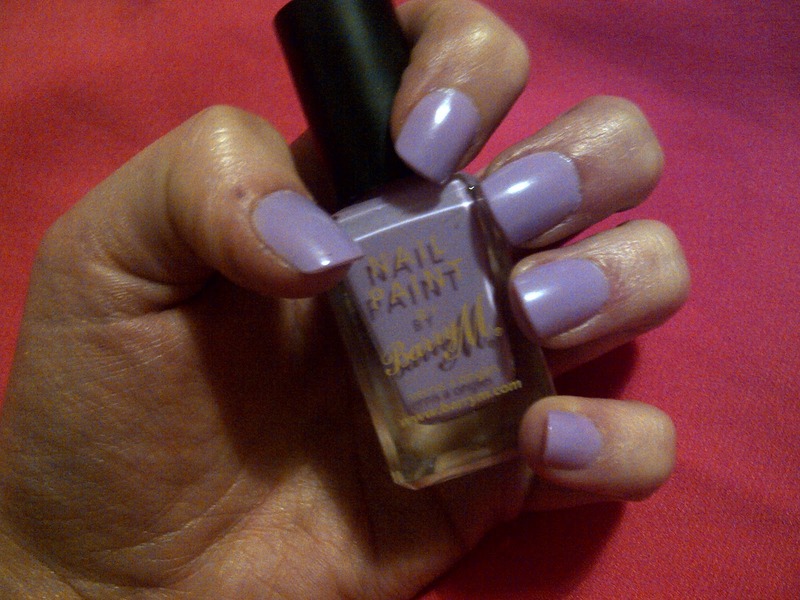 What are your favourite Barry M Nail Paints? I've been pretty busy today at work and seeing my grandparents, which was so nice as I haven't seen them in over a month. And now I'm off to drive to see my lovely friend Lydia who I haven't seen since Christmas, so I'm very excited about that! I hope you've all had a good week! I love the lilac nail polish.